Reading the Bricks: It's Mini Readathon Time Again! It's Mini Readathon Time Again! 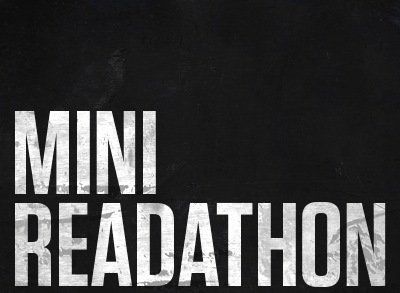 So remember how uhhh-mazing our last Mini Readathon was? With the mini-snacks and the snark and the not actually much reading and the fake competition with that other readathon that lasted like a bazillion hours WHO WANTS TO READ CLASSICS FOR 24 HOURS NO ONE THAT’S WHO OKAY MABEL?? If that’s even still your name. Sooooo, let’s do it again! This Sunday, July 28, gather your mini-snacks from wherever they may be (mine are still in my freezer from last time), gather some books that fit your definition of “mini,” and prepare to tweet, facebook, and blog about how much you’re eating and how it doesn’t count because the food: it is tiny! And everyone knows tiny food has no calories! We’ll kick off at 9am Pacific time with an intro post – feel free to schedule this one ahead if you think you won’t be up in time to caffeinate and write a post by 9am (me) – update maybe once (?) at the 4 hour mark depending on how much tweeting we’ve done, and then again at the end. I suggest we appropriate the hashtag #minithon for our own use, regardless of whether someone else uses it already.